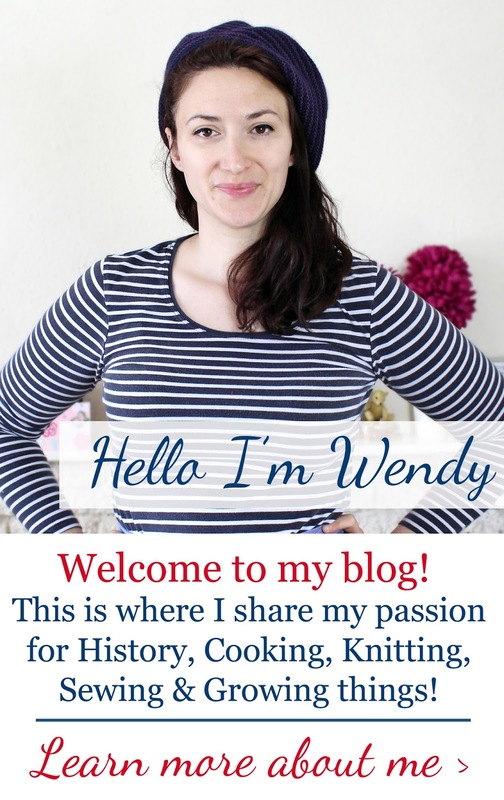 If you have been reading the blog for a while, you will know that for the last few years I have on a mission to rid myself of the dreaded Unfinished Objects, UFO for short, of the knitting and sewing variety which lurk in the dark recesses of my flat. I must confess of late I have been a little better at creating new UFO's rather than culling them, so when I saw that Lucy from Pin Up Crafts had documented her UFO list and was encouraging others to do the same, I instantly knew it was something I had to do, whether or not I wanted to (I'd started a post many months before and then deleted it as I was embarrassed at just how many things there were left unfinished) I needed to do it for my own sanity! So after much deliberating, and searching my flat for the hidden projects, here is my list. There are quite a few so you might want to grab a cuppa before you embark upon this rifle through my abandoned projects, it a long list! 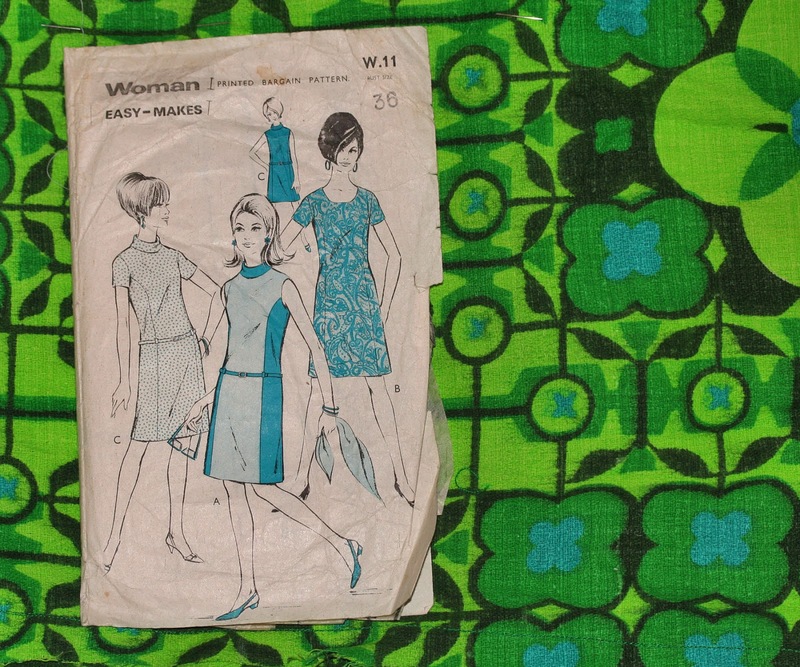 1960s Midi Dress - Woman Easy Makes pattern W11 from the mid-Sixties, teamed with some bright, green and turquoise blue curtain fabric from Ebay. This is a pattern that I 'borrowed' from my mum's stash, which I teamed it with some lurid 70s curtain fabric, love the dress but it is a disaster! Firstly it needs a zip no big problem there. Secondly, some weird things happened around the collar I chose to do the stand-up fold over one version A. - I can't for the life of me currently think what it's called! Thirdly and most importantly, I have taken the seams in way too much, after initially finishing it and finding it too big I took in the seams and guess what its now too small! I really want to finish it, but I fear its always going to look a just that little bit bodged! 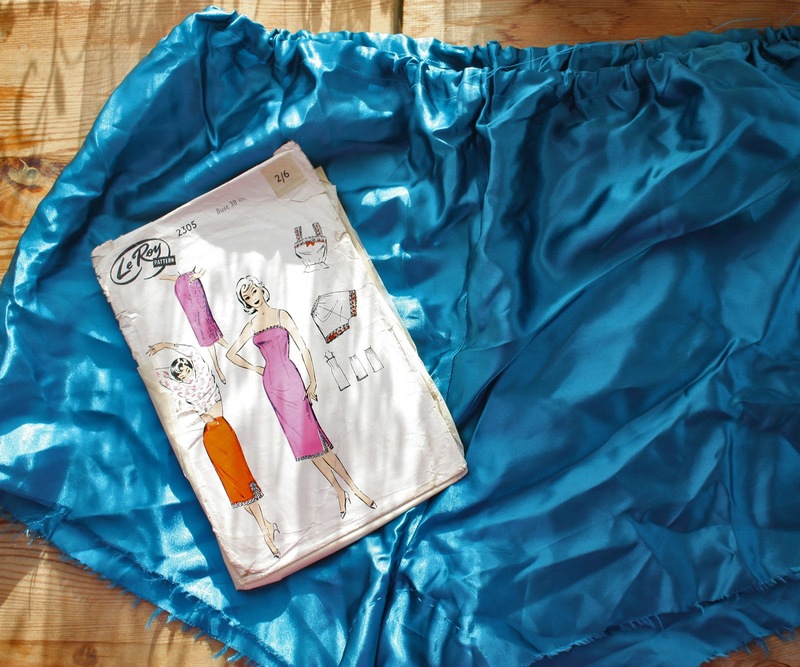 1960s Tap Pants - Le Roy Pattern 2035 An Underwear lingerie pattern from the 60's, made from turquoise blue satin I got from Walthamstow Market. Another one of my mum's patterns started at the same time as the above dress. It was the first time I had worked with satin and french seams so project ended up slip sliding its way into the UFO pile, where it has sat for the past SIX years!!! 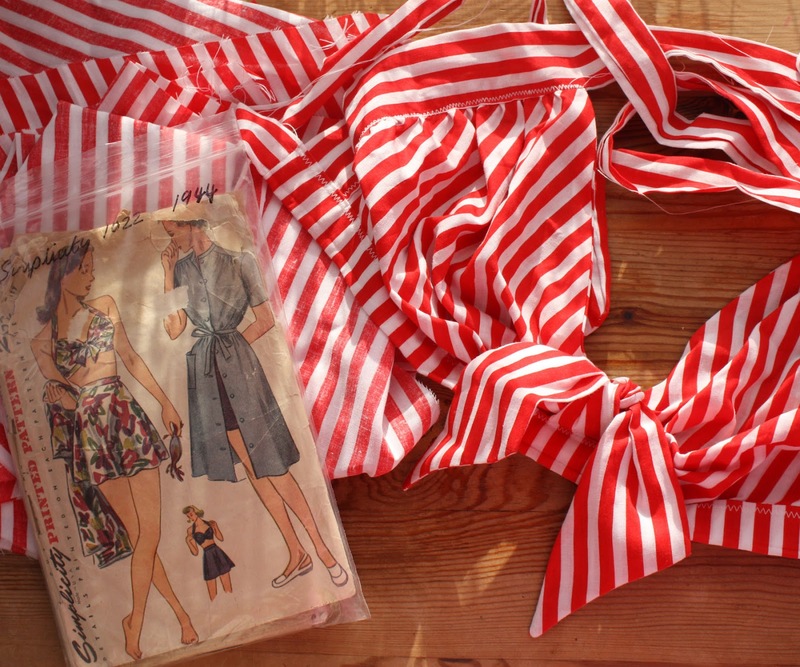 1940s Bathing Costume - Simplicity 1022 from 1944, made with some candy striped printed cotton, again from Walthamstow Market. The bra/top is essentially finished, it's just the short/skirt that needs to be done, it's all cut out, I vividly remember watching Benjamin Button whilst doing that, so whenever that film made it on to DVD is when this project was started! There are two reasons for it hitting the pile, one is that I blustered ahead not taking into consideration the pattern was about 2 sizes too small for me so was never going to fit no matter how much seam allowance I lost! Two, those lovely red and white stripes kept making my eyes go funny, like when you stare at someone wearing a Bretton top for too long or when you see red and green together, so a headache ensued and so it was left to get squashed at the bottom of my to-do pile. 1940s Red Jubilee Suit - Vintage Vogue V1136 from 1945 made from some lovely drapey red cotton crepe from Walthamstow Market. I wanted to make this pattern up so that I could wear it during the Queens Diamond Jubilee festivities. 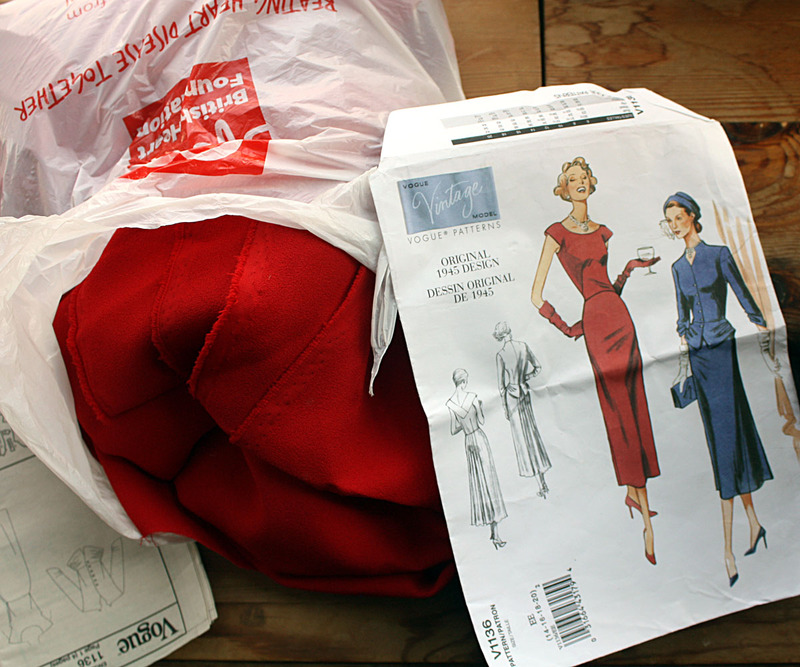 The plan was to turn it into a suit, as I can't believe I am saying this about a 1940 pattern, but I really hate that dress (the front is boring and the back is just over the top, low v and a pleated bustle, meergh, it's just not for me) so I intended to make a simple 40s skirt to go with it. 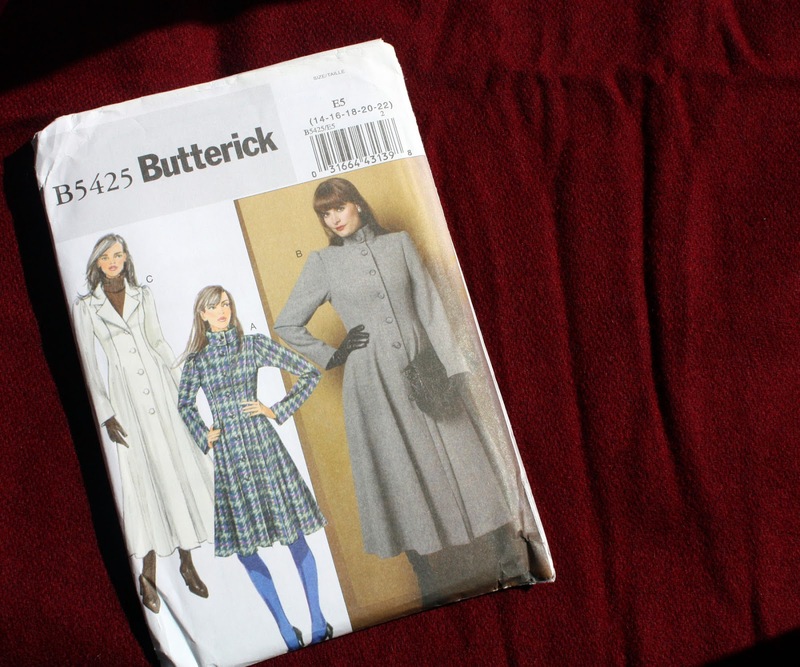 But once I had cut the pieces out for the jacket, I lost patience when I couldn't get the sleeves to fit, it was puffy all the way and for once I wanted a nice set-in-sleeve (you just know that Mae & Patrick would not be happy with a puckered sleeve head). Part of the problem is that the fabric has a lot of natural ease due to the loose weave, so when I cut the sleeve heads out they stretched and so are now too big to fit in neatly. I do have enough fabric to start again, so I am tempted to have another go at finishing it soon. 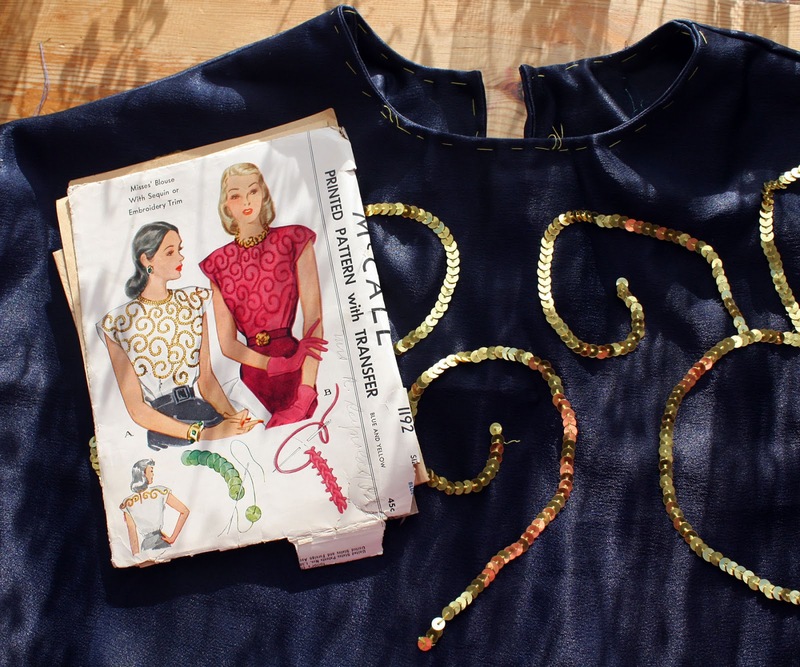 Sequined 1940s Blouse - McCall 1192 teamed with a thick blue cotton satin, to be decorated with gold sequins both were bought at Walthamstow Market. Love this pattern and it was destined to be an ultimate stash buster as the fabric is what was left over from my Sunburst pleated dress seen here and the gold sequins are ancient I bought them when I first started college, so a long, long time ago! Not sure why this has sat for so long unfinished I think it has to do with the re-sizing of the blouse, the patterns a 32 and I'm, well a 38, so I did a bit of tinkering before I cut it out, but the fit is a bit odd. Also, I think the way I have sewn on the sequins, leaving them on their chain, makes it look a bit rubbish as the ends don't look at all neat. I think this will be finished just needs a bit of a re-think. 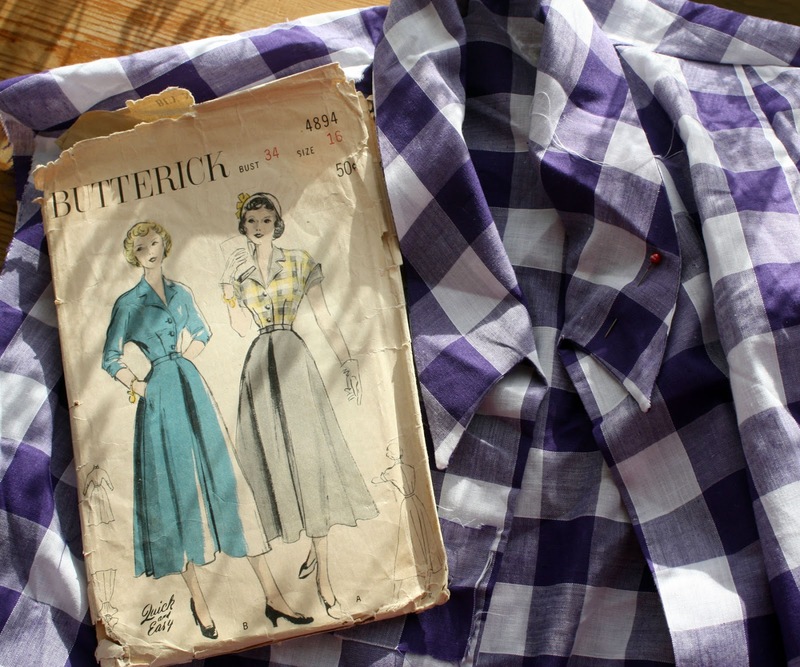 1950s Hitchcock Dress AKA 'The Dress That Clings Too Much' - Butterick 4894 made with large purple gingham cotton blended fabric from again Walthamstow Market. Before for my French holiday a few years ago, I saw Dorris Day wearing the most fabulous dress whilst I was watching 'The Man Who Knew Too Much' see it here I knew instantly I wanted to recreate it to swan about France in and that I had the perfect pattern for the job so why did this dress get restricted to the UFO zone? Well, the reason was simple, the fabric. I used a cotton blend which on the face of it works perfectly it's light and bright and has a lovely 50's feel to it. But, and it's a big but, it has quite a bit of nylon in the mixture so when the fabric is rubbed against its self or any other fabric for that matter, the most horrendous amount of static is produced, which results in the skirt clinging to...how do I put this, to me bum, there I said it! It's not attractive (more like embarrassing) and it's certainly not comfortable, so until a solution is found it will remain an unfinished object. 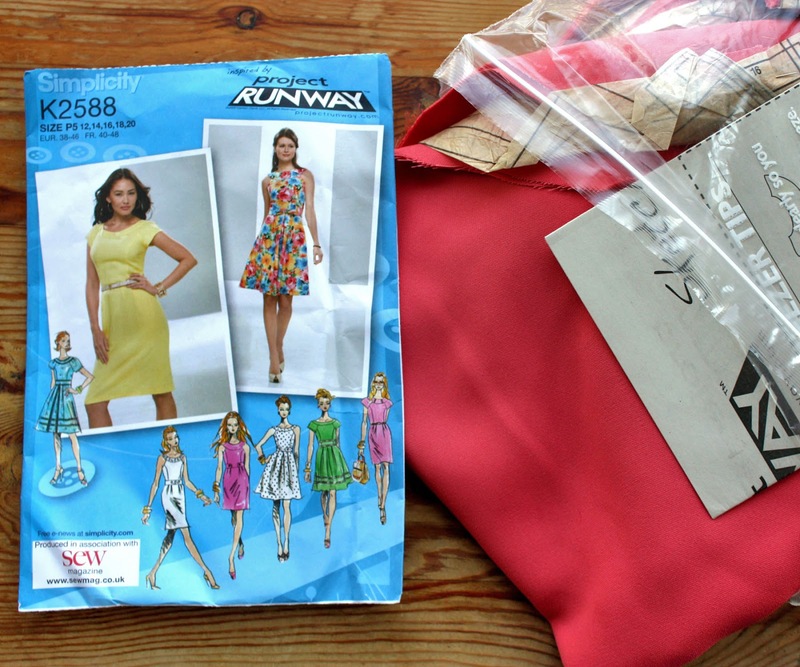 The Jess Dress - Simplicity's Project Runway Collection K2588, made with a pink poly cotton blend from Walthamstow Market. It was last year that this dress, or should I says a bag of pieces, showed up on my UFO list. It is the result of a couple of hours spent watching 'New Girl' and deciding I needed to make me a Jess dress. That would be something that had a sixties vibe, a full skirt though unlike Jess's dresses long enough to cover my knees and was in a plain but pretty fabric! In my haste to get cracking, I decided to cut up my Kimono as I hadn't really made much use of it since we moved so figured I should re-purpose it, great plan! But I got bored unpicking the stitching and so some pieces got cut out others didn't, so it got relegated, as do most things it seems, to the UFO pile. A copy of M&S Lace Dress - Pattern is adapted from Sew U Home Stretch. 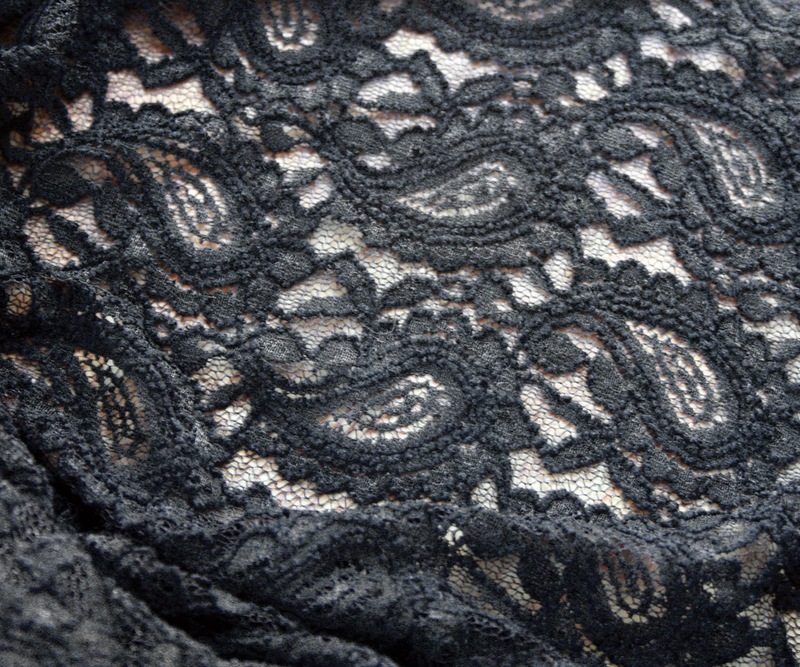 The fabric is a black paisley stretch lace from Ebay. When I saw this dress from M&S I instantly fell in love. I wanted to make a version in a striking red like the original but, I just could not find a shade of lace that was quite right they were all a bit too brassy or tomatoey for my liking, so defeated I went back to the classic stand by shade, black. I used the same pattern as for my Red Jersey dress I made in the summer, this time, though it is floor length something that works really well with the generous amount of stretch this lace has, the dress is essentially finished. But it still needs an under dress as the lace is see through and until I find the right fabric this dress is on hold! Gertie Coat - Butterick 5824 made from Astrakhan style short pile fur fabric lined with a fuchsia satin anti-static lining. This started as part of a Sew-a-long way back in 2012, and is to all intents and purposes finished apart from the buttons, but there is a problem. The waist has dropped, probably due to the weight of the fur fabric skirt pulling the fabric down, it has dropped so much that it has meant that it now sits on my hips, which makes it unwearable. So until I find the bravery to take it all apart again it will stay on the UFO list. 1940s Coat - Butterick B5425 made from some lovely burgundy wool bought from Fabric Land in Southsea. It's all cut out but with the Gertie coat still looming over me, I've lost the confidence to finish it. 1940s Land Girl Jumper - V&A pattern see it here, 2ply bottle green knitting machine yarn doubled up to make 4 ply from eBay. I started this back in 2011 see the post here, I have used knitting machine wool to knit it double up which is time-consuming and makes for a non-portable project, also the wool is as rough as a badgers bottom (I'm guessing, having never felt one) and I had been dreading wearing it, but was recently told by my Mum that knitting machine wool often has a stiffener in it to make it flow through the machine easily, and so when washed out it will soften up, fingers crossed. 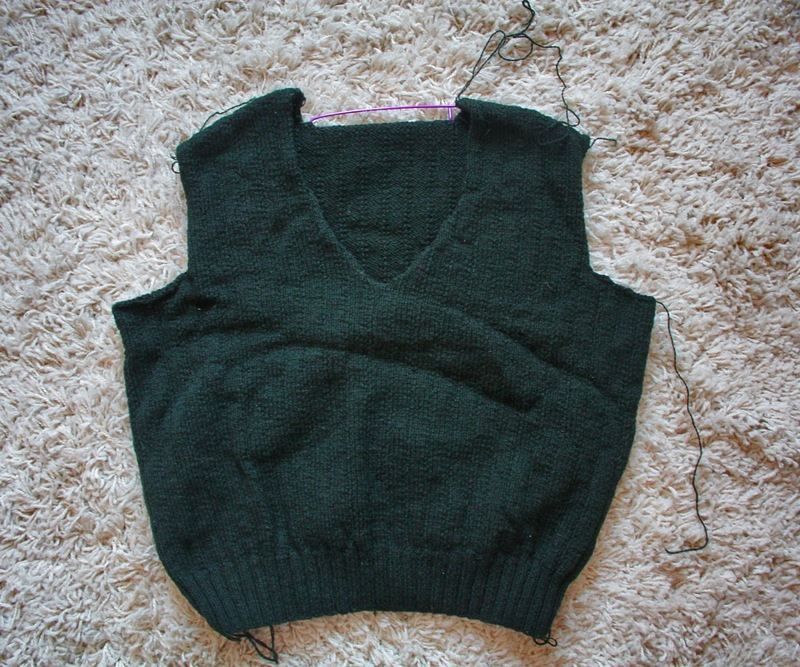 Anyway, I have only managed to knit the main body and I am torn between making it into a tank top or finish the sleeves, I would dearly like to rid myself of the bottle green itchy wool once and for all! Stash Buster Beret - Sunday Pictorial Beret from 'A Stitch In Time' by Susan Crawford made with two balls of Rowan Cashsoft in dark blue and purple. I knitted this at some point in 2012 as a stash buster for a couple of balls of rowan cash soft I had been given. I had completely finished this with a bow and all but the bows were so limp and floppy, that they looked ridiculous so I have undone them and will try something that Mim from Crinoline Robot suggested of using wire to make them...well a bit more, well, stiff! So until I can that it will sit for a bit longer in the UFO pile. I also want to make some matching gloves to go with it, so I have bought some more yarn in the same shades...stash buster indeed! Update: Finished May 2016 - Read all about it here! 1930s Jan Sweater - From Susan Crawfords 'A Stitch In Time Vol.02' Started this in September whilst I was liberated form cooking for a month, sadly I got no further than the rib for the front or back don't remember! There is no photo for this as when I went to pull it out of my knitting bag I managed to pull all of the stitches off of the needle, so I have now ripped it all back and so no photo and I suppose now it can be crossed off the list, at least there's something that can! 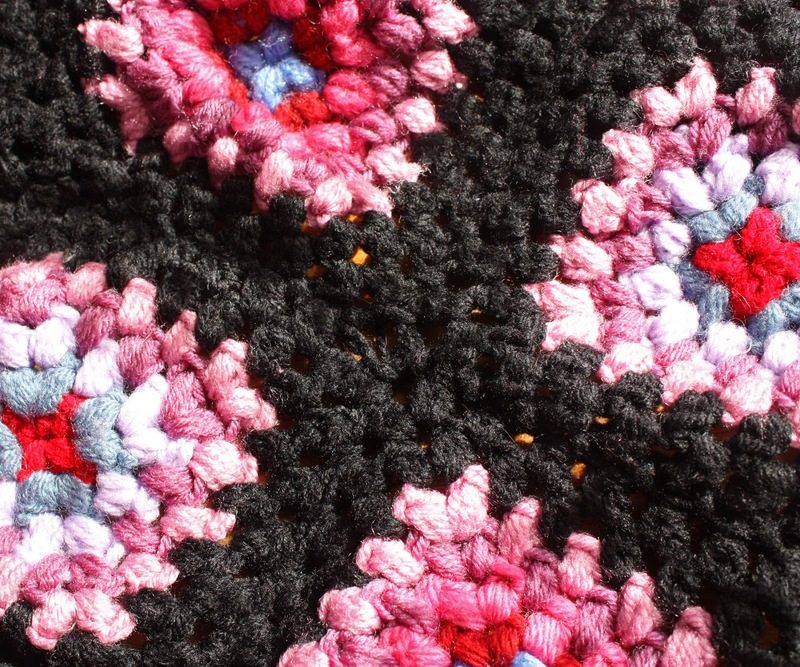 Stained Glass Granny Square Blanket - A stash buster using up the odds and ends of various ply's of yarn. Oooh only one unfinished, crochet project, I think that is probably due to limited ability rather than choice. This was started years ago in an attempt to use up the odds and sods of yarn left over from other projects, I have made a concerted effort to finish this off since new years so it's on its way to being finished very soon! Ok so it was 2 years later, but it's finally finished!! See my post about it here!! So there you have it, my shameful unfinished 'dirty laundry' list has been well and truly aired. It's actually very liberating to lay it all out in once place, it's turned it from an embarrassing annoyance in the back of my mind to a manageable list of things to do, let's see if I can tick off a few over the next few months! Do you have a UFO list of your own? 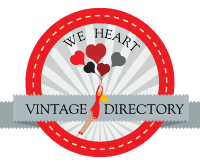 If you do then hop on over to Lucy's blog to grab the button and lay your list bare, go on it's good to share! 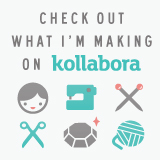 Your list made me feels so much better about my own unfinished projects! It's good to see that I'm not alone in being very enthusiastic in embarking on a project, but getting deterred very easily - thank goodness. for 1950's Hitchcock Dress AKA 'The Dress That Clings Too Much', would a pure cotton petticoat remedy that problem? I bet that in the 1950s it would always have been worn with a petticoat. I did think of suggesting a cotton lining sewn onto the waist and tacked to the other seams, but that might be too fiddly. But if you bought the right fabric you could make a petticoat using the skirt pattern. And for the Gertie Coat, I wonder if there is a technique which you could use to strengthen the seams of the bodice so that they stop the fabric from stretching? Or would that just result in the coat drooping in between the seams, giving an uneven waist? Good luck with finishing some of your projects soon. Thank you Helena, yes its good to know I'm not alone in the UFO stakes too! You have your work cut out there but I look forward to seeing all the finished items. 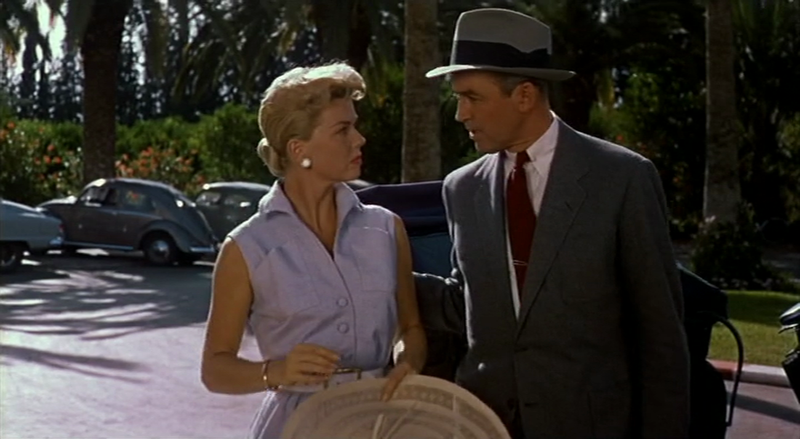 We just watched that Hitchcock film, I was so in love with her swishy dress she sang Que Sera Sera in, that was a beauty. 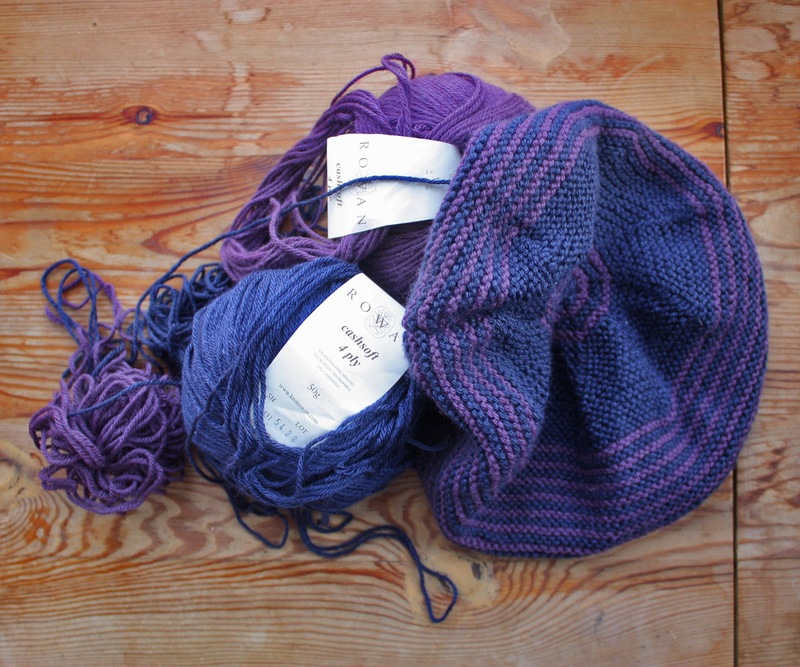 I don't have many unfinished items, only the cardigan I attempted to knit which went so very horribly wrong, my own fault for picking such a tricky yarn for a first attempt at knitting, that I shoved it in a bag and pretended I never started. I do though have a large amount of patterns which I've hoarded like a squirrel and have yet to make! Wow, this is a pretty epic UFO list! Good luck with combatting it - do you have a set game plan? Maybe you should rank them to finish for the seasons or for special events you've got coming up? As a side note, I went to Walthamstow market for the first time ever last weekend to get myself some fabric (I'm planning an Easter dress so hopefully I can keep to that deadline!). Loved it - and it was a great atmosphere because it was a lovely sunny day. I was looking for plain yellow cotton, which I was struggling to find but end up with a poly yellow... Perhaps good to get back on the sewing horse with something cheap and cheerful, in case I mess up hideously anyway? But I wondered if you might one day do a post with your tips on the best places to go to in Walthamstow for different types of fabric, as you're obviously quite familiar with it from all the fabric you've bought there! I know it is quite shameful, especially as I have an inkling there is somethings I have missed! I will definitely aim to finish them seasonally otherwise I will just give up again! That is a lot of WIPs. (Thank you for the link!) If there's stuff you really can't bear now, maybe you should find it a new home. For the clingy dress, have you tried wearing a slip? They can be really useful for reducing cling. The red Jubilee suit will look gorgeous when it's done. Aww....bless! I know exactly how you feel though....as I still have an embroidery project that I haven't finished since last year and now a growing pile of sewing...well altering by hand to make the dresses fit properly. I have even started contemplating taking them to work to do in my lunch hour...except I think I will be a bit embarrassed at my crafting skills. 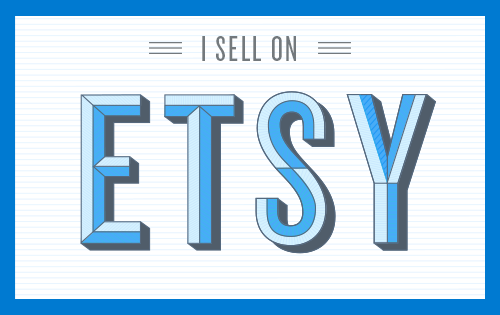 Have you thought about joining a craft club? One of my girlfriends Rachael is an amazing crafter and she joins this group of ladies who meet up together regularly to do crafty projects. So you can bring any unfinished or new craft projects to do whilst having a chat with some tea! Have a fabulous week my dear! Your UFO list isn't too bad, but you should finish them off as they are all really lovely and I can't wait to see your finished items! The coats look like really fabulous projects, and the shorts might help with the dress being staticy, like a shorts type of slip. Such a gorgeous colour too. Copyright of The Butterfly Balcony 2018. Simple theme. Powered by Blogger.